Attorneys protect victims and assert fundamental rights! LHR – the specialist firm for individual rights law. Individual rights of today are fundamentally different from those in 1996 – and not only because the laws have changed. New media has moved individual rights into a whole new light. Twenty years ago it was a complicated and expensive undertaking to intentionally or unintentionally damage someone’s individual rights. Today, it is a daily occurrence with Facebook and Twitter or by SMS or WhatsApp. Twenty years ago, the opposing parties to claims brought by protectors of individual rights were newspapers, photographers and individual distributors who were able to use a limited number of channels. Today they can be spiteful classmates, disappointed shoppers, embittered or frustrated partners, who, with little effort and minimal cost can effectively damage individual rights – such as the “right to your own image” – in a massive and permanent way. Often, they may do so unaware of the consequences, which can include students committing suicide and the destruction of livelihoods. One thing has not changed: Those who do not defend themselves are inevitably accepting the infringement on their fundamental rights. Whoever uses appropriate means to actively protect themselves prevents the continued distribution of infringing content and shows that they are able to defend themselves against future attacks. The range of potential damages that may result out of the infringement on individual rights remains great, as is the problem of being able to estimate the value of a “good reputation”. 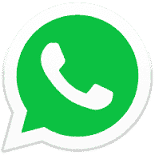 LHR was able to assert an injunctive relief with the Frankfurt Regional Court for a female client against the forwarding of a photo on WhatsApp. The photo showed her from the back and gave the impression that she was inappropriately dressed while attending school. Click here for details about this case. Internet forums, blogs, wikis and other online publications represent a significant risk of conflict that touches all social classes. Frequently private details about individuals, their photos and names are thoughtlessly distributed worldwide on the internet. Oftentimes those publishing these items fail to consider that journalistic duty of care also applies to the internet and that the precepts of press law likewise pertain to online activity. Aggrieved parties have many possibilities to seek redress: a request for injunction, a claim for compensation, a rebuttal or a retraction of the report are among these. LHR partner Dr. Niklas Haberkamm, LLM oec., has made a name for himself by virtue of his extensive experience not only in practice but also as an author. 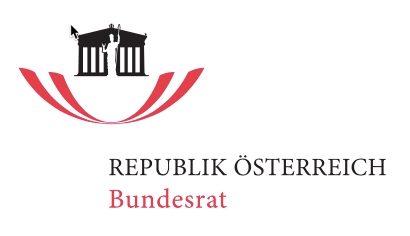 Upon request of the President of the Bundesrat, he has served as an expert advisor to the Austrian government on the topic of “Internet Hate Speech”. His article was published in the official Green Paper “Digital Courage” of the Austrian Federal Council. Companies and individuals can effectively fight back against libel and violations of individual rights and demand compensation for damages. Disparaging reporting can result in considerable market uncertainty, so much so that it becomes a “self-fulfilling prophecy”. As the well known and notorious dispute between Kirch and Deutsche Bank illustrated – in which a comment about the creditworthiness of Kirch was presumably all the more reason for his bankruptcy – such behaviour carries serious consequences. Following 12 years of litigation, Deutsche Bank, within the scope of a settlement, paid Kirch’s heirs 775 million Euros.